New stormwater regulations, shrinking local government budgets, a competitive real estate market and the need to protect water resources present real challenges in South Carolina. Developers, local governments, water resource professionals, land use planners, stormwater managers and many others are faced with tough water quality and quantity management decisions. One solution to these challenges is Low Impact Development. Low Impact Development (LID) is a comprehensive technology-based approach to managing urban stormwater. It combines a hydrologically functional site design with pollution prevention measures to compensate for land development impacts on hydrology and water quality. How Can Low Impact Development Help You? • Assist in meeting new stormwater requirements (MS4 Phase II). 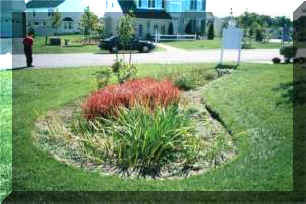 • Reduce construction and maintenance costs of the stormwater infrastructure. • Balance growth needs with water quality protection. 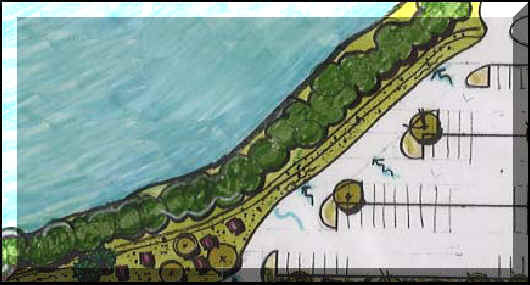 • Creates "green landscapes" that add amenity value to new development. This document (2MB) was prepared by the Prince George's County Maryland Department of Environmental Resources Programs and Planning Division, with assistance from EPA. The design charts from the appendices of this document are not available in PDF format at this point in time. Low Impact Development Center, Inc.